Tomorrow is National North Carolina Day – a day celebrating the history and growth of our home state. Of course, North Carolina Day is the perfect excuse to go on an outing with family, have a solo adventure, or plan a unique date. And with the large number of attractions in and around Greensboro, there’s no need to travel far for a bit of fun. One of the most well-known attractions in town is the Greensboro Science Center. The center features a zoo, aquarium, the SkyWild (an aerial rope course), and museum exhibits on the human body and weather. A personal favorite exhibit of mine is the gibbon exhibit – this family of monkeys has a wild, mischievous baby gibbon that swings around the exhibit, teasing the older monkeys and causing about as much trouble as the toddlers on the other side of the glass. 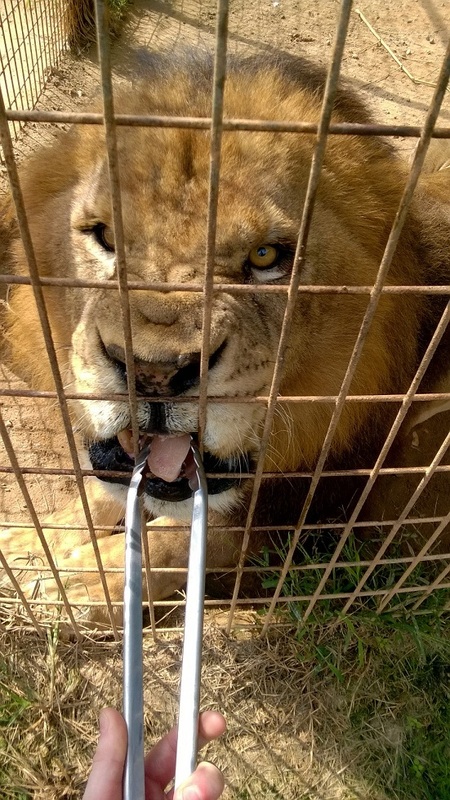 If more exotic, dangerous animals are your style, the Conservators’ Center in Mebane features tigers, lions, wolves, jaguars, and other predators. If you’ve never heard a tiger chuffle or looked a lion in the eyes, the tours here will leave you amazed. The animals are out and about more often in the mornings, so try to visit before noon if you want to see more activity. However, the center is offering a new, nighttime tour in time for Halloween, which focuses on predators in the legends and myths of old, and ends with free cider and hot chocolate. Next door to Mebane is a very different type of attraction – Grandaddy’s Antique Mall in Burlington, NC. The store is an entire two acres of space with booths selling everything from antique chaise lounges to vintage cameras. Some booths are haphazard, with items stacked on shelves and scattered across tables (which may or may not also be for sale), while other booths are neatly arranged to look like living rooms or studies. The prices are widely varied as well, so that the store caters to every style of antiquing. A different kind of history is found at the Greensboro History Museum. The museum features two permanent exhibits on the history of Greensboro and one showcasing a set of miniature rooms created by Otto Zenke. Additionally, an exhibit on Asian-American heritage in Greensboro is on display until the end of the year, offering a unique insight into a less-known side of our local culture. If museums are your thing, but history isn’t, the Weatherspoon Art Museum at UNCG showcases contemporary art from local and nonlocal artists. Work from UNCG Faculty is on display until the beginning of December, and a new exhibition on Louise Fishman’s work in abstract expressionism opens this Saturday. The museum also hosts artist talks, where you can learn more about the why and how of pieces from the artists themselves. Lastly, Triad Stage offers theatrical performances in both Greensboro and Winston Salem. Currently on stage is the Pulitzer Prize-winning “South Pacific.” Set in the South Pacific in the midst of World War II, this Broadway musical tells the stories of an American nurse, a French plantation owner, a U.S. Lieutenant, and a Tonkinese woman as they grapple with budding romances, war, and racial tensions. Nearby, the UNCG theatre is performing “As You Like It,” a musical adaptation of Shakespeare’s comedies, starting Thursday night. There are countless other attractions and events near the triad area as well. So grab a loved one (or yourself), and have a wonderful North Carolina Day.